This stunning piece of furniture is imported directly from Italy. 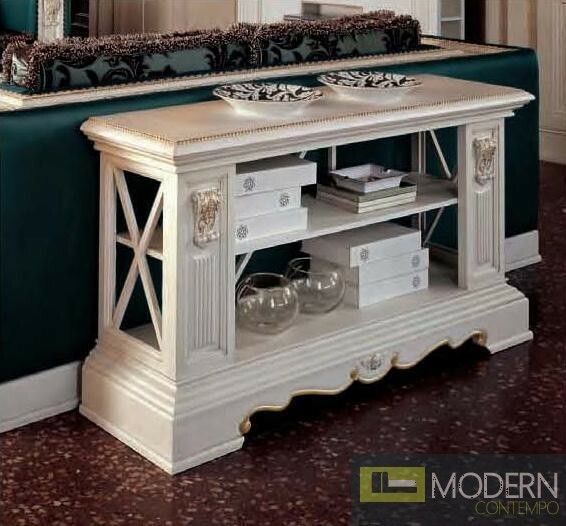 The console table is made of strong and sturdy hardwood, painted in a crisp, white finish. The table looks great situated behind a sofa or loveseat. It provides important, extra storage and table space. W55.1" x D15.7" x H29.9"